The Most Unusual Purses for Sale! 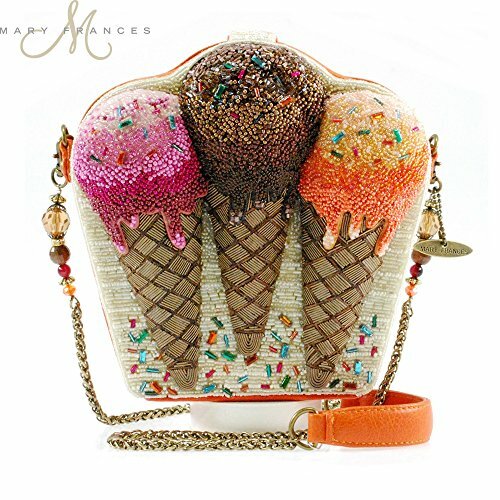 Mary Frances: The Most Unusual Purses Ever Created! I just came across the Mary Frances cool purses and handbags! They are the most unusual purses ever created! I found them today, while doing my usual research for cool and unique products and I went crazy!! As a girly lady who loves fun and unique stuff, I am always looking for cool, cute, fun and unique purses for sale. You won’t believe what I found! *Yes, it is a pumpkin coach shaped handbag! 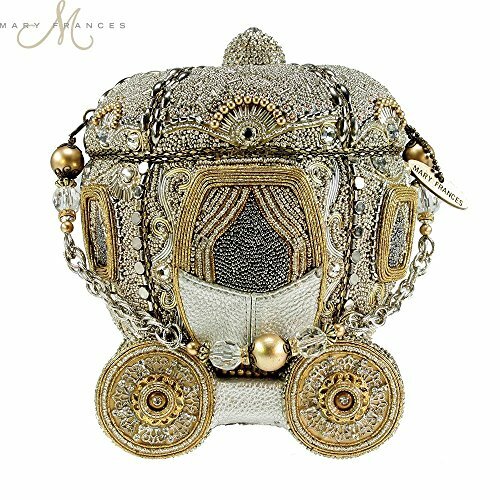 I absolutely LOVE unusual stuff and when I saw these extremely unique shaped purses from Mary Frances I almost had a heart attack! I had to show them all to you ladies!! Mary Frances purses and handbags are out of this world!! She creates the most unusual purses in all shapes imaginable! You gotta see them to understand what I’m talking about! They are all hand-made and they come in all kinds of colors and shapes! I am sure most of you are going to enjoy these crazy and unusual purses as much as I have! I am very excited to show them to you today! Every time I see a different handbag I let out a scream! Needless to say they will make an awesome gift idea to any woman who loves to collect purses! 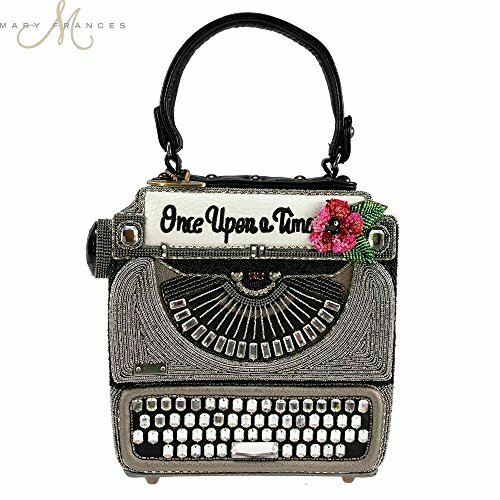 We start our unusual purses selection with this amazing Mary Frances typewriter shaped purse! The Most Unusual Purses in the World! This is a very unusual handbag! 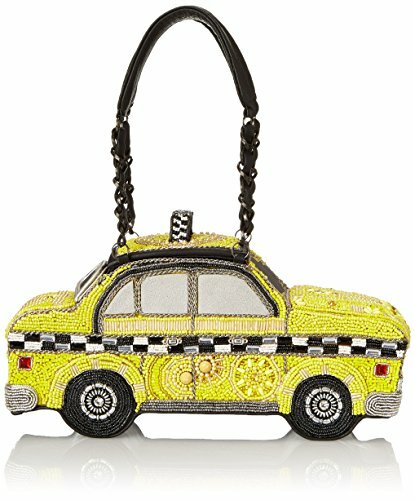 It is a super cool, fun and very unusual yellow taxi shaped purse! The ‘roof’ opens so you can put your stuff inside! It will fit your bare necessities such as a lipstick, cellphone, credit cards and money! Isn’t it the perfect gift idea for someone who always takes cabs too? Full of cool colorful beads all over! Like apples? How about a wicked black apple? 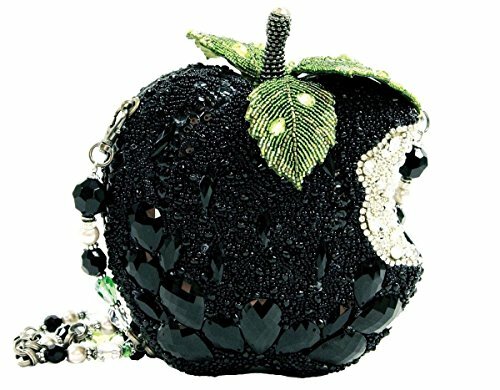 If you are looking for the most unique purse on the planet, then this black apple shape purse is for you! The Most Unusual Purses and Handbags for Women! 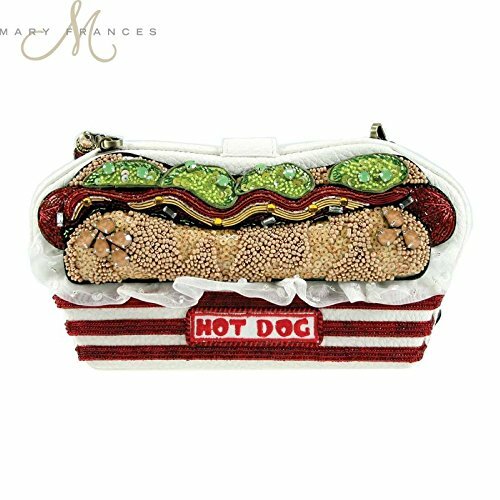 How cute, fun and amazing is this gorgeous and very sparkly hot dog shaped novelty purse? I bet you will be the only one carrying a hot dog wherever you are!! 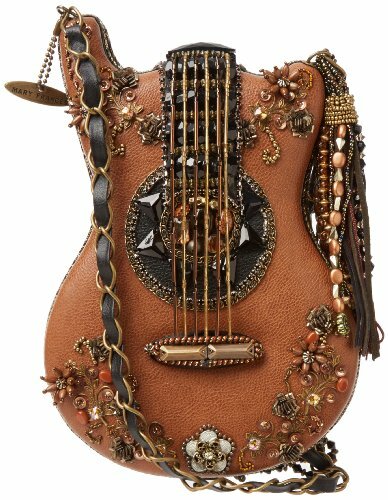 Have you ever seen a guitar-shaped purse before like this one? Can you think of a more fun gift idea for a girly guitar player or rock concert fans than a cool guitar shape purse? Isn’t it absolutely out of this world? I love the beautiful caramel color and all the pretty designs! It is definitely a one of a kind unique purse! What a Cool Owl Shaped Purse! Hello owl lovers and night owls! 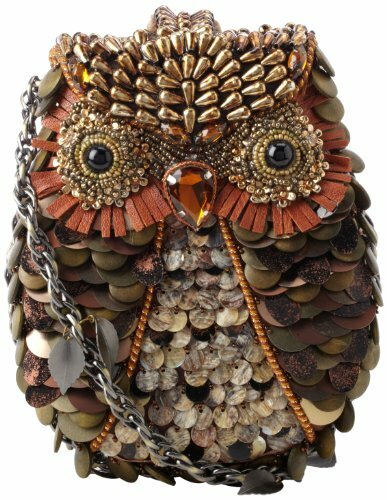 Are you looking for a unique owl purse? This Mary Frances night owl-shape purse is awesome! Perfect owl gift idea for a woman! This fun owl shaped purse is for you, of course! How gorgeous and full of details is it? Definitely among the coolest animal shape unusual purses being sold! Perfect purse for going out at night! Awesome 3D Pineapple Shaped Handbag! 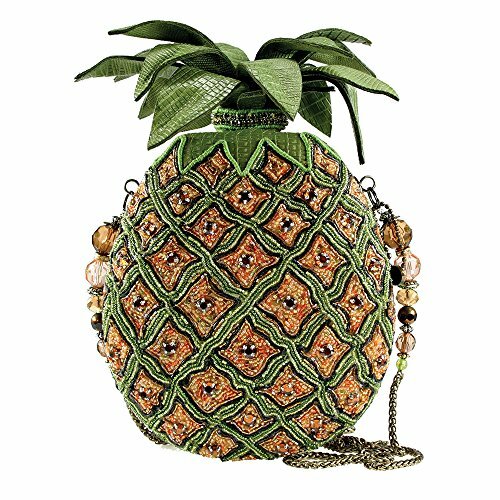 How cool and very unique is this pineapple shaped purse? I had never seen one before! It’s a cute 3D pineapple shape novelty handbag! What a beautiful gift idea for fruit lovers! It’s a Pumpkin Shaped Purse! 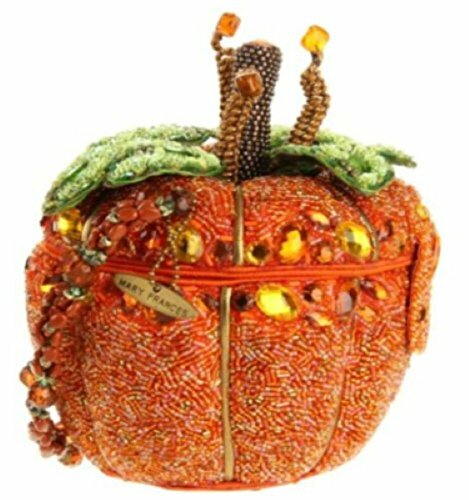 How fun is this bright orange pumpkin shape purse for sale? The Most Unique Purses for Sale! Have you ever seen a colorful bubblegum machine shaped purse before? Look at all the details and the gorgeous colors! I also love the sparkles! Gorgeous Christmas Tree Shaped Handbag! Love the Christmas spirit and specially beautiful Christmas trees? 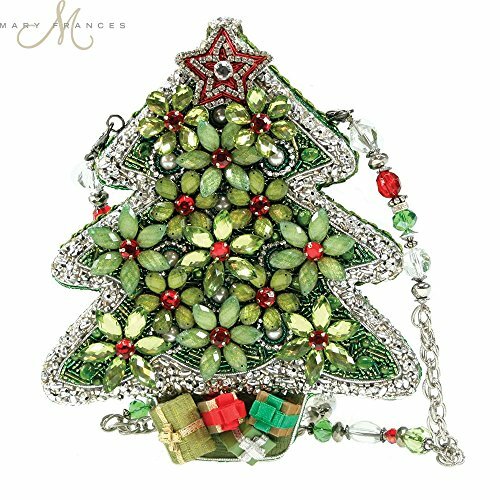 Then you are going to LOVE this gorgeous and very sparkly green Christmas tree shaped purse! What a cool Christmas gift idea for your wife or girlfriend! Unusual Purses in the Shape of Animals and Insects! Are you a ladybug lover? 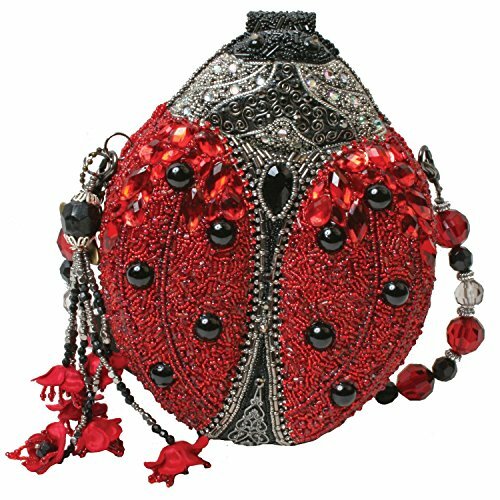 How about this fun and very unique cute ladybug shaped purse? I bet you’ve never seen one before! How’s that for a ‘lucky gift idea’ for someone? I love all these unusual and very creative evening purses! I wish I could collect them all! Then you are going to LOVE this cute and FUN Mary Frances yellow balloon ride shaped sparkly handbag for sale! Isn’t it one of the most unique purses you’ve ever seen? How’s that for a fun ‘balloon lovers’ Christmas gift idea? How about a Gorgeous Blue Buddha Face Shape Evening Purse? 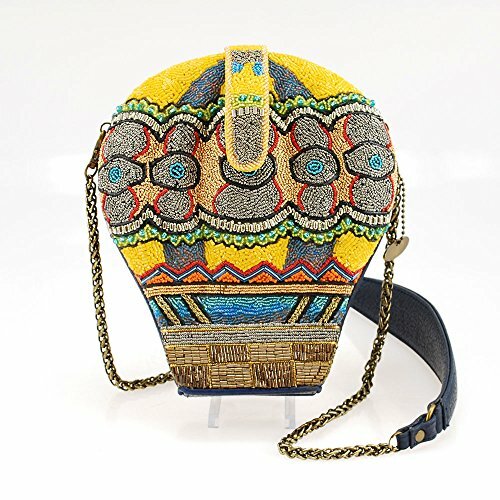 Are you having fun with these unusual purses for sale ladies? 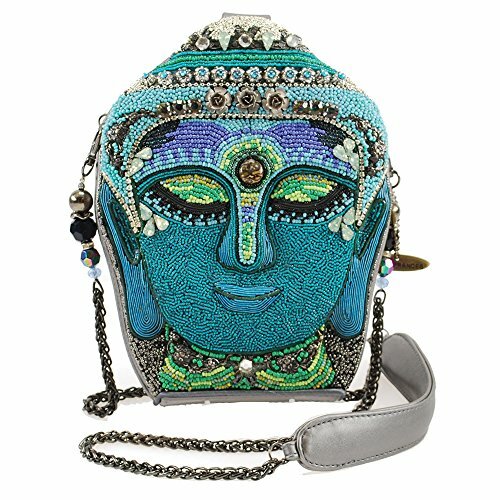 How about this cute and absolutely amazing, blue color Buddha face shape purse? What a cool gift idea for the Buddhist girly girl in your family! Gorgeous Unusual Purses by Mary Frances! 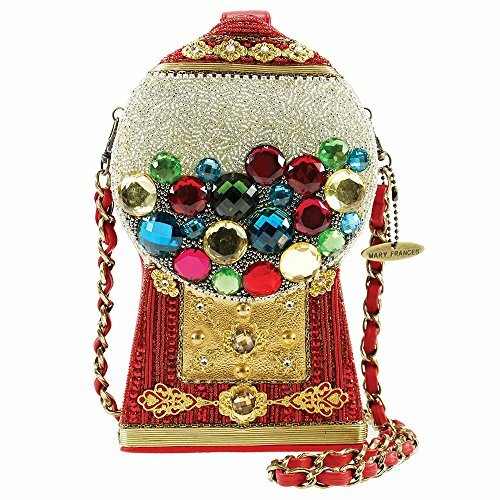 What a fun, colorful and ultra-creative and very unique Mary Frances purse! 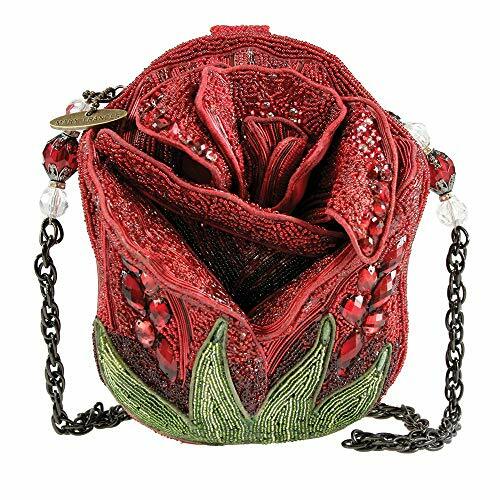 It is a cool red rose shaped handbag! It is a piece of art! I have never seen one! One of the most unusual purses around! Full of fun colorful beads! 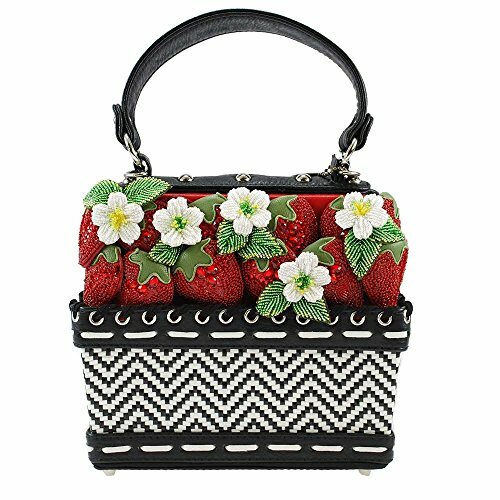 Have you ever seen a red strawberries basket shape purse before? Yes, red, smacking, sparkling beautiful and delicious strawberries! How’s that for going out with the girls? I guarantee it will be a huge hit! It spells fun night out! I am having so much fun finding these cool unusual novelty purses! Each one is more fabulous than the next! 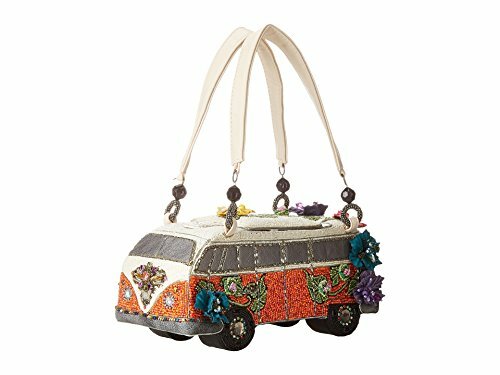 How realistic is this very cool and extremely unusual bus shape novelty purse by Mary Frances? This bus shaped handbag has got to be one of the most unusual purses yet! Makes a very cool, ‘retro’ gift idea for a woman! I cannot get enough of these creative handbags! 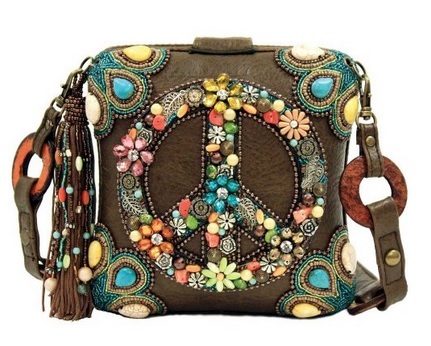 What a cute and colorful hand-beaded peace sign purse! What a fun and extremely unique Mary Frances purse! Perfect gift for nightlife lovers! 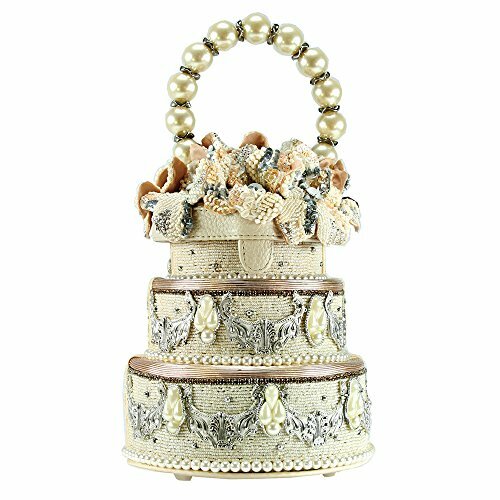 Hit the town with this amazing wedding cake shaped purse! Will put a smile on your face every time! This is by far one of the most unusual purses on this page! What a cool wedding gift idea!